USA Track & Field and Rolling Thunder Special Needs Program (www.rtsnp.org) hosted a National 5km Cross Country Disability Championships on October 4, 2009 in Kings Park, New York. There were categories for athletes with different types of physical and intellectual disabilities. Athletes Without Limits staff attended the race in order to meet athletes interested in learning more about upcoming INAS international competitions for runners with intellectual disability including. 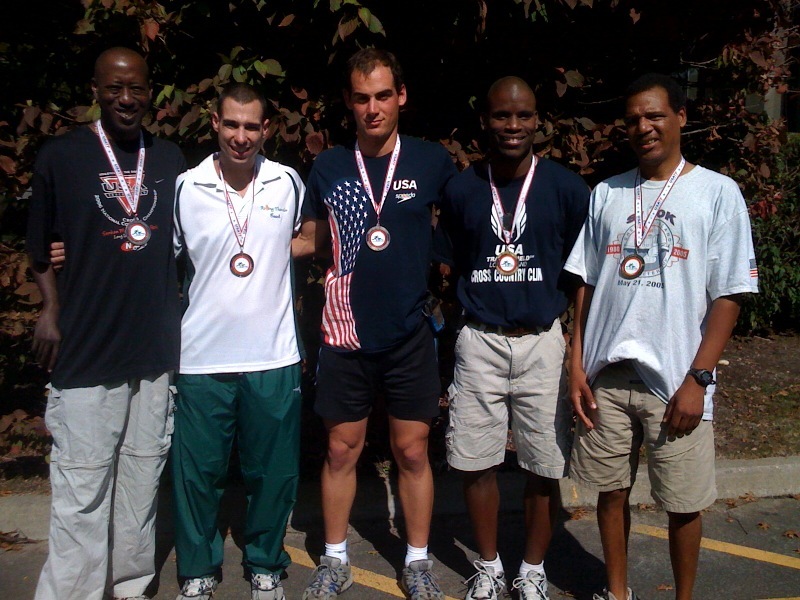 Athletes Without Limits US Team cyclist, Syd Lea (pictured center with other medalists) participated in the event and placed 2nd in the category for intellectual disability. Other athletes of note are Steven Cuomo and Marcus Saunders. Names and times of other runners will be posted as soon as results are available. Athletes interested in learning more about the race for next years event can visit the USA Track & Field Website for more information. The 5km race is held in the beautiful waterfront Kings Park on Long Island and is extremely family friendly for spectators with an awards banquet sponsored by CSEA following the race.